I have never actually actively campaigned for anyone before. I have also never believed in someone as much I believe in Cory Booker. I really believe he will be good for New Jersey. 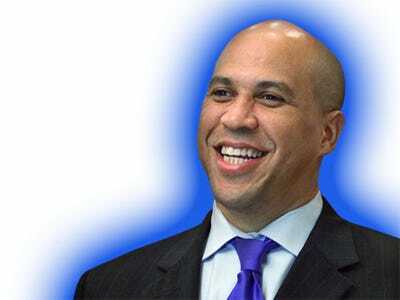 Please consider even a small donation to Cory Booker's Campaign for Senate TODAY! as the quarter ends tonight. The vote takes place August 13. "Today is the final day of the quarter, and that means it's the final opportunity we'll have to count contributions toward the public financial report we'll release soon. We have so much to do in the short month and a half between now and election day. Every single opportunity is crucial -- including your opportunity to help us reach our 1,000-contribution goal before midnight. As Jonatan Mårtensson said, "Success will never be a big step in the future. Success is a small step taken just now." If we act today, we can show the pundits, our opponents, and most importantly, the voters the success we can have when we all work together. Will you take a small step now that will help us reach our goal before the deadline by contributing $25 or more today? This is an important day for our campaign, but it's one of many on which we'll ultimately have to put ourselves out there, trust those around us, and reach for better things together. A philosophy book that I love has a passage about today: "What day is it?" asked Pooh. "It's today," squeaked Piglet.